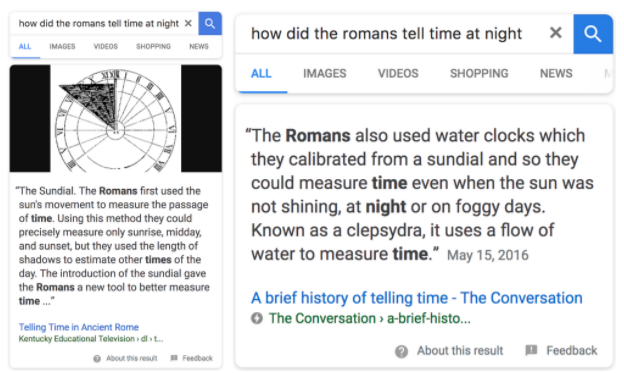 Google has published a detailed post on what snippets are and why they are important to those searching by voice. From a business perspective, short of building your own voice skills, this is also an opportunity to explore options and experiment with voice. In addition, snippets create a way to standout from the “ten blue links” for mobile and web searches. Finally, snippets and click data offer a greater insight into the mind of the customer as he lands on the page. The caveat? The importance of designing answer that are useful, provide a positive experience and guide your potential customer to the next steps in the process. And that is where we take a leaf out of Google’s UX playbook. The guidelines for evaluating speech that Google has posted provides a great framework for approaching and tackling voice responses and snippets. First and foremost I love the emphasis on meeting customer needs. Finally, the wireframe at the end of the document shows a possible way to conduct internal testing and elicit structured, actionable feedback. If you found this useful, you like the piece on driving retention for your voice app or skills.